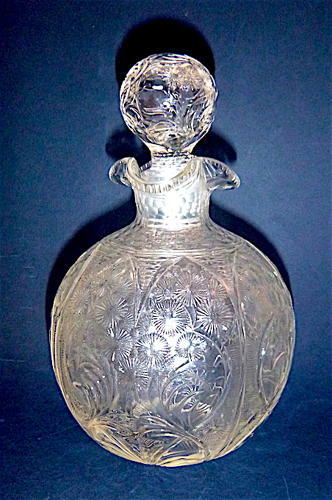 Wonderful Antique Engraved Scent Bottle by Stevens & Williams, Stoubridge. Bulbous in Form and with a Rippled Neck and Beautifully Engraved with Delicate Flowers . Stunning Original Stopper, also Engraved with Flowers and Foliage. Stevens & Williams of Stourbridge, England, Made Many Types of Glass, Including Layered, Etched, Cameo, and Art Glass Between the 1830s and 1930s. Many pieces are Decorated with Flowers, Leaves and Other Designs Based on Nature.